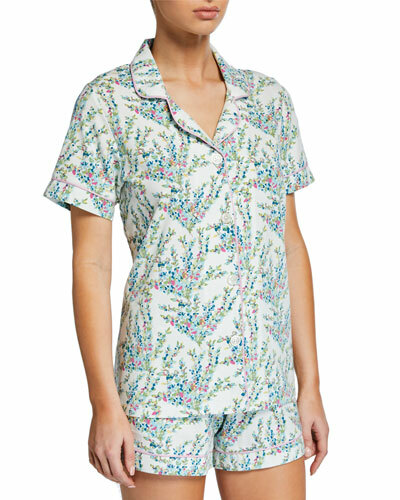 Founded by designer Renee Claire, BedHead pajamas was born after its creator noticed a lack of quality sleepwear on the market. 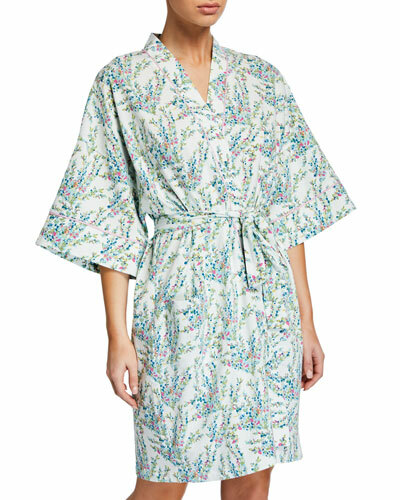 Claire differentiated herself with sophisticated designs and fine tailoring, trademarks that set her apart to this day. From playful to romantic, BedHead prints are unique and detailed for adults and kids who take bedtime seriously. 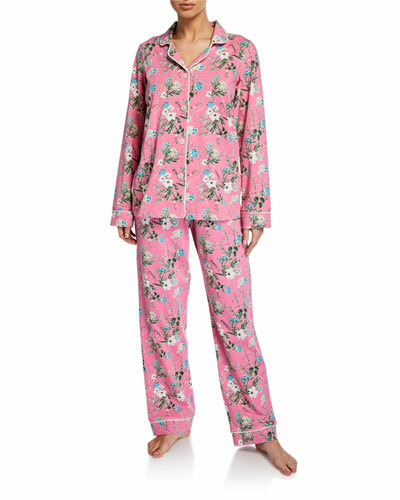 Soft pajama tops, pants, and shorts are cut for comfort and won’t lose their shape after one wear, letting you go from bed to breakfast in style. 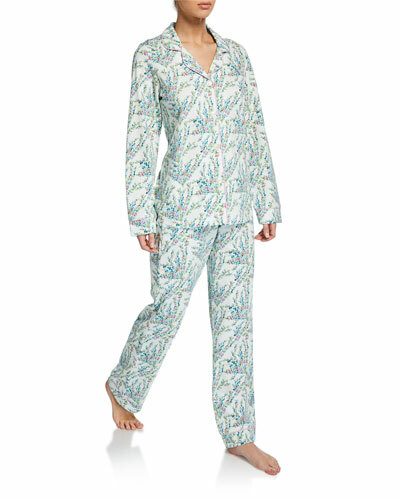 Shop a selection of BedHead pajama sets for women and children at Bergdorf Goodman for a sound night’s sleep. 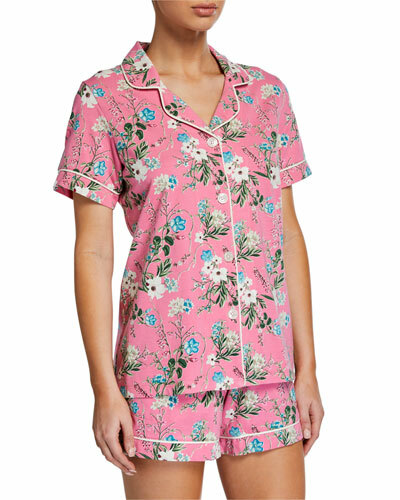 Derek Rose "Amalfi" pajama set with contrast piping. Notched collar; button front. Long sleeves. Chest patch pocket. Relaxed fit. Straight hem. 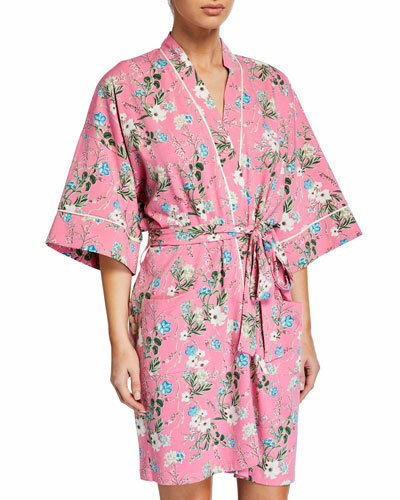 Comes with matching pajama pants. Elasticized waist on pants with self-fabric drawstring. Cotton. Made in Czech Republic. 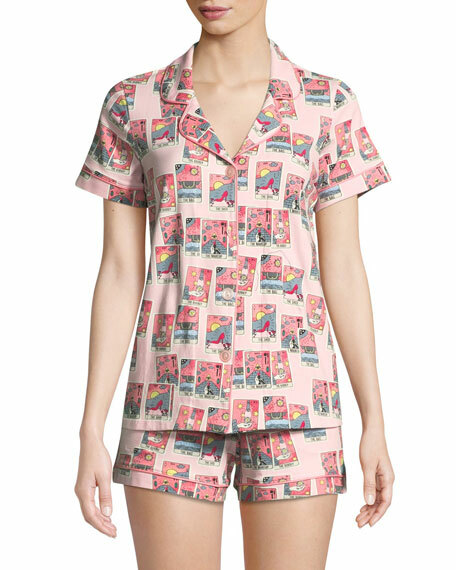 Derek Rose "Carla" shortie pajama set. Rounded, notched collar; button front. Short sleeves. Chest patch pocket. Includes matching lounge shorts with self-fabric drawstring. Slimmer fit. Micro modal/spandex. Imported. 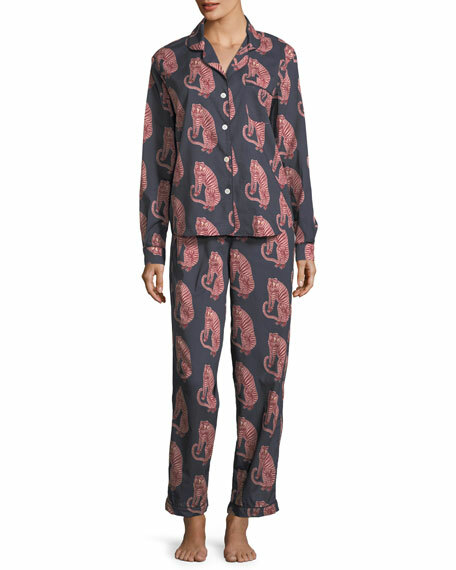 Desmond & Dempsey pajama set in tiger print. Notched lapel; mother of pearl button front. Long sleeves with banded cuffs. Front patch pocket. Vented hem. Includes wide-leg long pants. Drawstring waist. Cotton. Imported.